Valentine’s Day – You’re looking for that special gift for the love of your life. Here are some Vermont inspired gifts for the one you love. The Hawkins House in Bennington, VT is the perfect place to find that unique gift for your sweetheart. 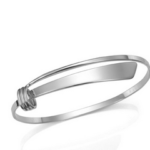 They have a fine line of Ed Levin jewelry in both sterling silver and gold. Choose from earrings bracelets, necklaces and rings. If jewelry is not her thing, then check out the pottery, blown glass, clothing, handbags, accessories and Vermont products they have to offer. Whatever you end up walking away with, we’re sure she will be thrilled. If your sweetheart loves both skiing and Vermont, consider a gift from Izadorable. A sterling silver charm reflecting a ski ticket would be perfect .You can choose from several Vermont ski areas including Stratton, Okemo and Stowe. This would be perfect for a charm bracelet, necklace, or key chain. You can even get a set of matching cuff links for yourself. What a perfect gift to serve as a reminder of those wonderful ski trips you’ve had together. Shop online starting at at $95 each. Why not surprise her with a perfect romantic getaway at The Essex Resort and Spa in Essex, VT. This Romantic Getaway package includes: Two night’s accommodations. A bottle of wine and a house-made chocolate treat when you arrive. You get a couples’ 50 minute Swedish massage in the Spa at The Essex, a $100 credit towards a dinner for two in Junction, (Reservations Required), Daily Spa Access for two, and breakfast for two daily in The Tavern. You can’t get more romantic than that. Okay, now for that special man in your life. If he loves to ski but can’t get away very long, surprise him with the One Nighter Package at Stratton Mountain Resort in Stratton, VT. Enjoy 2 days of skiing on Southern Vermont’s highest peak and one night lodging at either the Liftline Lodge starting at $199 for two people or the Black Bear Lodge starting at $238 for two people. If you are looking for a unique gift for the man in your life, stop into Above All..Vermont in Manchester ,VT. Step back in time to the general store of long ago. They have everything from Vermont made products, clothing, specialty foods and so much more. Why not consider one of their gift baskets? 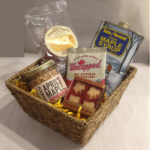 If he loves maple syrup, the perfect gift would be their Vermont Maples Goodies Gift Basket. It has everything that a syrup lover would love. They also have a great selection of Vermont and New England made munchies, including chips and salsa, cheese and crackers, chocolates, beverages, and much more. 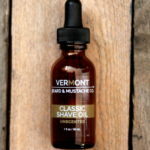 Finally, if he has a beard or mustache, you need to check out the Vermont Beard and Mustache Co. in Essex, VT. They carry beard conditioners and shaving oils that are all organic and sure to give him a smooth shave or a soft beard. The classic shaving oil provides an ultra-smooth shave. It softens and lifts hairs prior to shaving, preventing skin irritation. A one ounce bottle can last for months, replacing multiple shaving cream containers! For Valentine’s Day or any day, you and your love can enjoy a winter getaway to Vermont. Check for great Deals, explore Vermont’s Winter Resorts, or make it easy on yourself and choose a Vacation Package. Want to keep it simple? Enjoy a romantic dinner for two or check here to find more gift giving ideas. 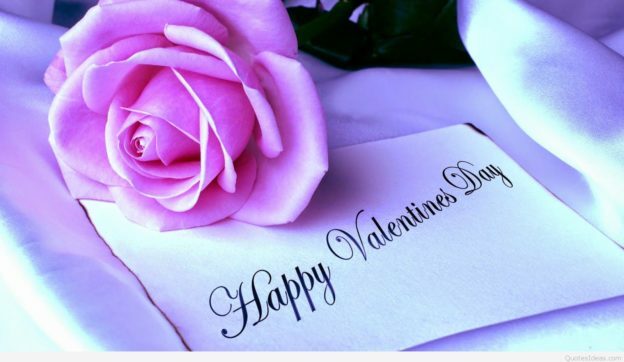 Most of all, enjoy Valentine’s Day and make sure you tell the person in your life how much they mean to you, not just on Valentine’s Day, but every day. This entry was posted in Activities, Now Trending, Shop on February 10, 2017 by Linda Cassella.